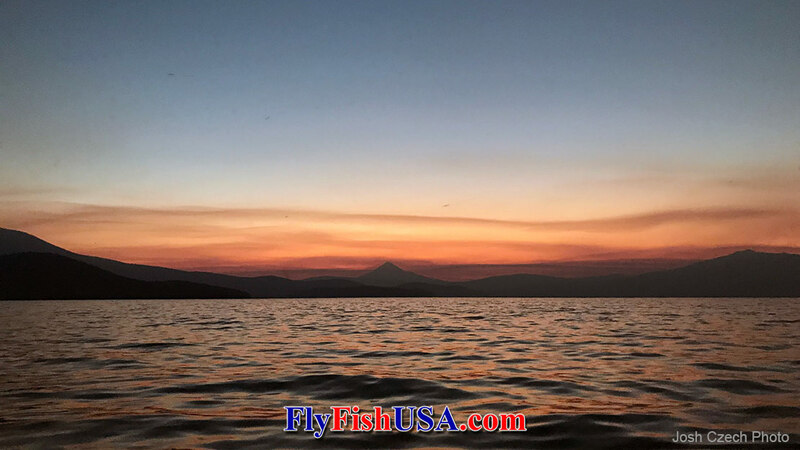 I fished the Cortland 444 Clkassi Clear Camo Intermediate line on two recent trips.One trip was to Klamath Lake in Southern Oregon, and the other was to a group of high lakes on the Warm Springs Indian Reservation in Central Oregon. I mated a WF7 to my Echo 6wt, in an attempt to add a bit more flex to my rod and slow the action down, and to make shooting line easier in short, quick casting situations.The line has welded loops at the front end, a moderate taper, and is 90 feet long with 48 feet of running line.It can also be used for saltwater. 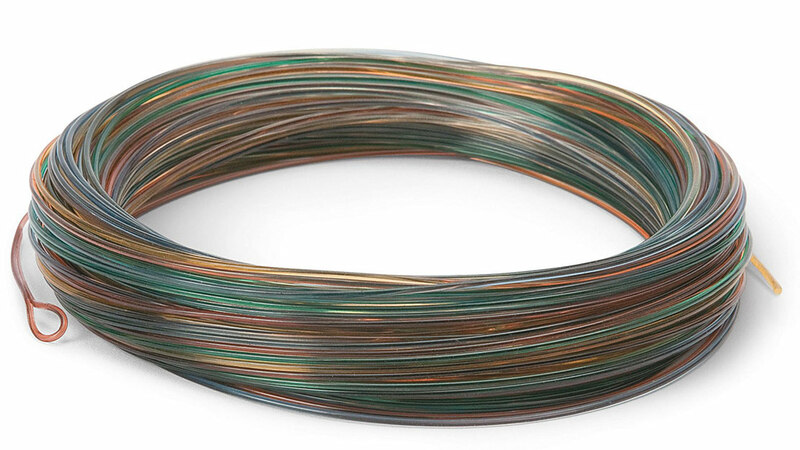 Cortland 444 Classic Intermediate Fly Line comes in both Big Game and Small Game tapers. The Small Game line is featured here. These lines are not new. In fact they have been popular with anglers for over 30-years. Only small improvements have been made, a level-step handling line at the front of the shooting line and a welded loop for attaching a leader. They have survived the test of time, being practical, reliable and nearly indestructible. In Klamath Lake I was fishing out of a boat, and using small light streamers like Clouser Minnows, with a few damselfly nymph patterns to mix things up when the fishing slowed.I did throw a few bigger Clousers, about 5-6 inches, and the line turned those over nicely.The line did very well in close, and easily threw casts up to 50 feet.I especially liked the slow sink rate, since waiting for a slow sinking line to sink is much easier than trying to get a fast sinking line to stay near the surface of the water.The depth where I was getting fish was typically about 3-5 feet deep, so the slow sink rate was ideal.Really the only thing that went wrong was when I had line out to cast and then got distracted by something, and tangled my line up in my friend’s trolling motor.He thinks it was an accident, but I was actually just testing the durability of the line. It held up admirably, with only a few frays and nothing catastrophic happening other than my rude friend catching a fish while I was fiddling around with the line. 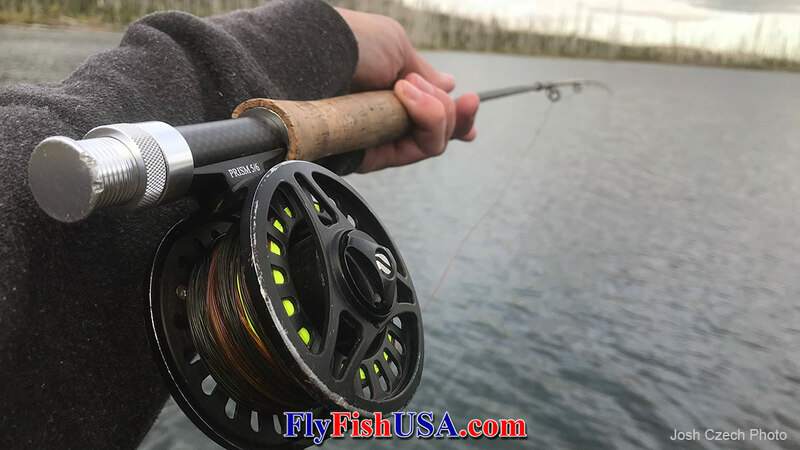 In the high lakes I was fishing mostly woolly bugger/leech type patterns.Long and short casts were made from shore, and fishing a good range of depths, anywhere from 3 to 20 feet deep.The line was supple enough to throw these slightly smaller bugs and not end up feeling too whippy or piling up line at the end of the cast.For the deeper situations, I used a countdown method and then retrieved.Even though I was hooking some fish at 15-20 feet down, the line was still sensitive enough for me to feel the difference between a fish taking or if I was just bouncing off a rock.I would tell you how the line worked for trolling, except I forgot the oars for my raft at my house and didn’t get any floating time. I did swing some moving water with it as well, on the North Fork of the Lewis River in Washington.It was mostly just a line testing trip, which is why I didn’t hook anything.I didn’t want to have a fish get in the way of my research, of course.I was fishing medium fast riffles to slow tailouts and thought that the sink rate was a bit aggressive for late summer early fall conditions.It could be a helpful line if you do any single hand fishing on smaller steelhead rivers in winter, like some of the ones on the coast or some of the tributaries to major steelhead rivers of the Columbia Basin. 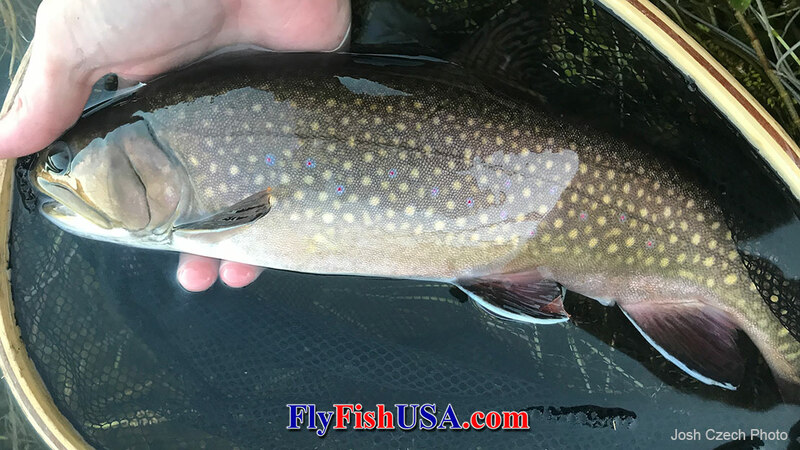 This time of year, trout in lakes are moving shallower and becoming more aggressive as the fall sets in, and an intermediate sink line is perfect for targeting these fish with any manner of subsurface flies. This line can also do well in the saltwater situations like salmon/cutthroat fishing in Puget Sound, or fishing kelp beds for rockfish. All in all I was very pleased with the performance of the line, and for $59.95 it’s one of the least expensive sinking lines on the market.